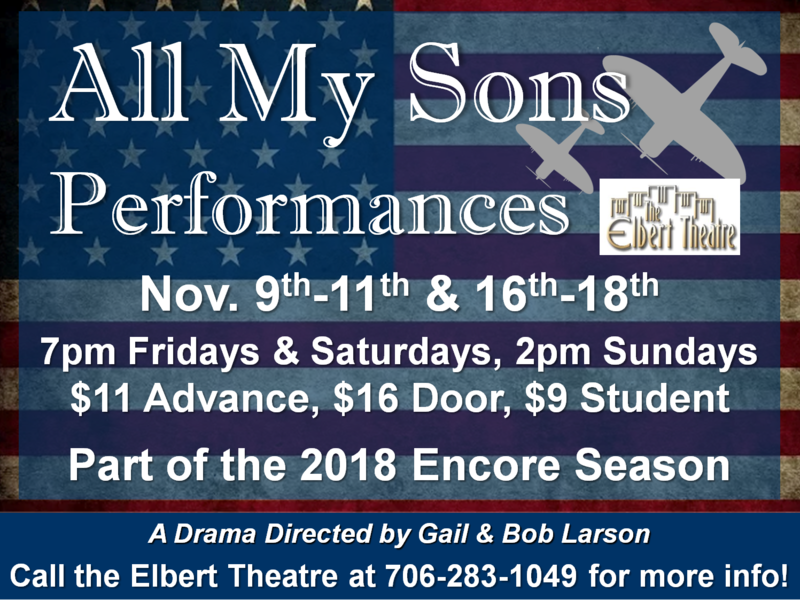 Encore Productions will be having performances of Arthur Miller’s classic drama “All My Sons”, Nov. 9th-11th & 16th-18th in the Elbert Theatre. Performances on Friday and Saturday nights will be at 7PM, and Sunday matinees are at 2PM. Tickets are available now and are $11 in advance, $9 for students/groups and will be $16 at the door. All seating is reserved admission. Call the Elbert Theatre Office at 706-283-1049 to make your reservations or for more information.